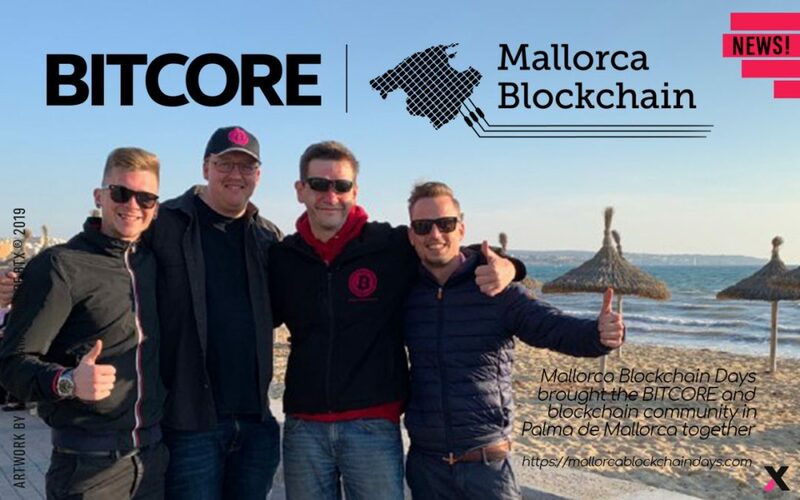 Mallorca Blockchain Days brought the BITCORE and blockchain community in Palma de Mallorca together. Mallorca Blockchain Days is a conference for blockchain technologies and cryptocurrencies, which aims to bring those at the forefront of blockchain technologies altogether. The ground-breaking blockchain conference was set on March 23, 2019, in Mallorca, and the event itself was last for a day. However, there were a day before and after intended for networking and having fun along with Bitcoin experts as well as blockchain developers and ventures investors. Bitcoin investors and blockchain specialists presented their speeches at the conference. Some of the names include Joshua Scigala (CEO of Vaultoro), Aaron Koenig (Bitfilm), Tone Vays (Trader), Gerald Hoerhan (Investmentpunk), Chris Luecke (Cryptonaut), Vit Jedlicka (Liberland), Bastian Fritsche (Mallorca Blockchain, Winiota). As Bitcore BTX, sponsor of the event, we were pleased to attend the Mallorca BD. Jon, Chris and Sinan were there on behalf of BTX. Our topics were “Bitcore” (a general presentation) and future developments of BTX. A mix of newcomers and long-time members of the crypto-scene made for an incredible atmosphere. We were able to establish a range of new contacts and distributed free BTX Moonbits to visitors.